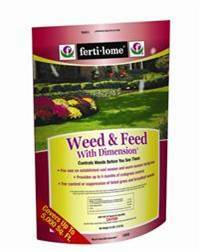 First, apply pre-emergant winter weed prevention as soon as possible. 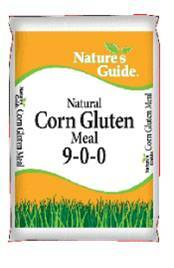 Use Organic Corn Gluten Meal. It will cover 3,000 sq. ft. coverage per 40 lb. bag or any Chemical product containing Dimension. Next, plan a good fall lawn feeding now! Use Nature’s Guide Fall Fertilizer or use Russell’s Nutra Grow 15-5-10 , 15-5-10 slow release or 28-0-0 slow release. We are pleased to offer a new seed company for our packaged seeds. Botanical Interests is a family owned business and a leader of the packet seed business. They promove more than 500 varieties of high quality, untreated, Non-GMO (Genetically Modified Organism) flower, herb and vegetable seeds! They also carry a great selection of USDA Certified Organic seeds. It’s time to start working on your fall gardens. Fall vegetable plants are arriving in our stores soon, and fall vegetable seeds should be planted now. Wheat, Oats, winter ryegrass and deer plot seeds are in the store and ready to plant. Wheat can be broadcast at the rate of 90 to 110 lbs. per acre. Oats can be broadcast at the rate of 75 to 85 lbs. per acre. Ryegrass can be broadcast at the rate of 25 to 30 lbs. per acre. West Nile Virus cases are still being reported in several of our areas. Please be diligent about standing water, make sure you don’t have any around. Remember to treat your lawns and flowerbeds with any of Nature’s Guide Mosquito products, these are wonderful organic options, save for your pets and family. Have a great safe and bug free September! This entry was posted on Tuesday, August 28th, 2012 at 6:00 pm	and is filed under Mike's Monthly Garden Newsletter. You can follow any responses to this entry through the RSS 2.0 feed. Both comments and pings are currently closed.